Mar & Bean: Guest Post-"MAMA SAID"
Here is a Guest Post I did for one of my favorite, newly turned mama blogger, Danielle over at "Sometimes Sweet". I think its a such a fabulous idea, to see what advice and tricks of the trade all these mommies have! Keep up the good work Danielle! Hello! My name is Marcella, I am YES, a single working mama. To some, I'd be your "typical" tattooed white trash single mom who got knocked up by the milkman, but that is far FROM who I really am. 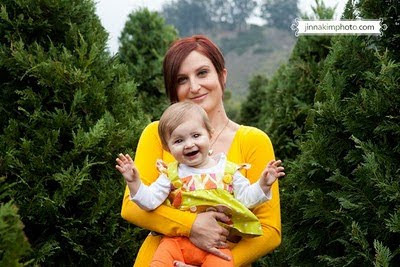 I have a newly 1 year old daughter Pella James, who is my mini me! I was born and raised in Ventura County California, ventured off to Downtown Los Angeles for a year, and now am back in Ventura County. I own a modern baby boutique, called DROOL, have a couple blogs I try and keep up with, and holding down a fort with 2 french bulldogs and a baby! Anyways, heres my mama says! Single Parenting HAPPENS! ...and when I say that I mean that! We all as women, track down the "ONE" the man we are determined to spend the rest of our lives with, grow old with, and YUP, reproduce with! But for some of us, the pretty picture we paint in our heads with this "family" doesn't always end up working out as we imagined it too! You can spend years with someone (like I did, 6.5 to be exact) and things CAN change. I see women everyday staying with these guys who do not benefit them at all because of the fear of being a "single parent". Well guess what, Single parenting happens! People everyday make the best of it, co-parenting, or NOT co-parenting and STILL raise happy, healthy and beautiful children! Its DOABLE! Women are strong, and powerful beings! I wish every woman who has doubts or is having a hard time accepting being a single parent could know that it happens and YES we may envy all these cute little families we see all over, but we still are capable of being AMAZING Mama's! Roll with the Punches. Single parenting can be EXTREMELY CHALLENGING, probably one of the HARDEST things ever, its you and baby and or kid ALL DAY, EVERYDAY. When us single parents need a break, its not often we are able to get that break we need! It can be exhausting, and sometimes feel like a black cloud is hovering over us...I the same could go for every and any mama, things happen, our babies get sick, baby has a poop blow out in the car and we "forgot the diaper bag! ", baby vomits all in our hair, baby falls down and gets a boo-boo,we the mama god forbid GETS SICK!, bad things happen all the time, you just gotta roll with the punches! LAUGH! Laughing is so very important to us mamas! We have to find humor in some of things that we could never bare to "laugh at". Laughing makes us feel good, and feel happy. Being happy is a key component to being raising a happy baby! I went through hell the first 4 months of my daughters life, I had anger, resentment, stress, sleep deprivation, and postpartum depression. There were moments I should have laughed at or found humor, and excitement in that I just couldnt! We all go through tough times, we all have moments when all we want to scream in a pillow or break down and cry! If we could just get a good LAUGH! What a great post. You sound like such a strong and wonderful Mama who I'm sure your sweet baby girl will SO admire one day. Thanks for sharing. I'm a single working Mama as well and agree with everything you said! Such a great post! You're doing a great job! I know how hard it can be to not have someone else to hand the baby over to when you've had it and just need a break! To be the only one that wakes up in the middle of the night to deal with the crying, to end up in bed at 2am because you can't get anything done until she's in bed for the night. To just want to sleep in till 10 without any interruptions. It's hard to hear other Mamas complain about their spouse not helping enough when we don't have any help at all but you're right, we just have to roll with the punches and we'll get through it!